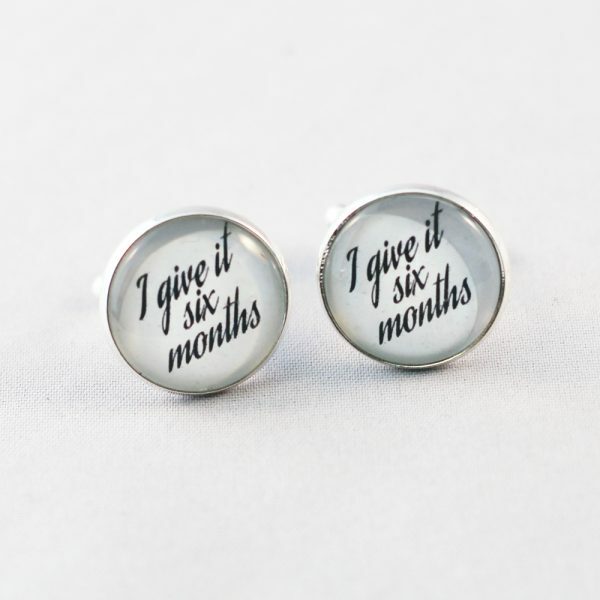 These silver coloured unique wedding cufflinks have the phrase ‘I give it six months’ under an 18mm glass cabochon magnifying the image. 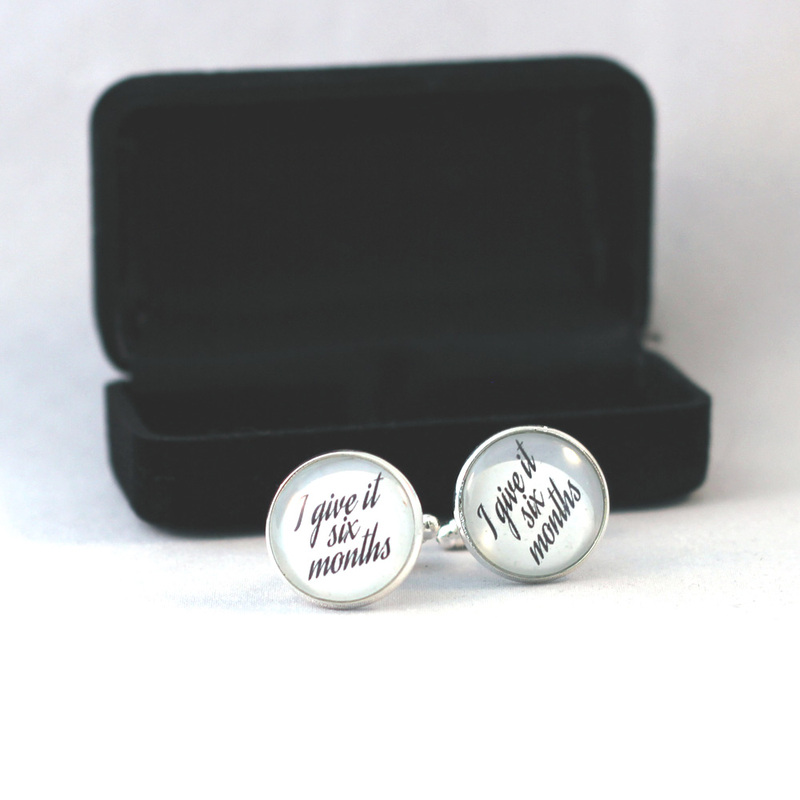 These may not be the most appropriate wedding cufflinks, but they are unusual cufflinks. 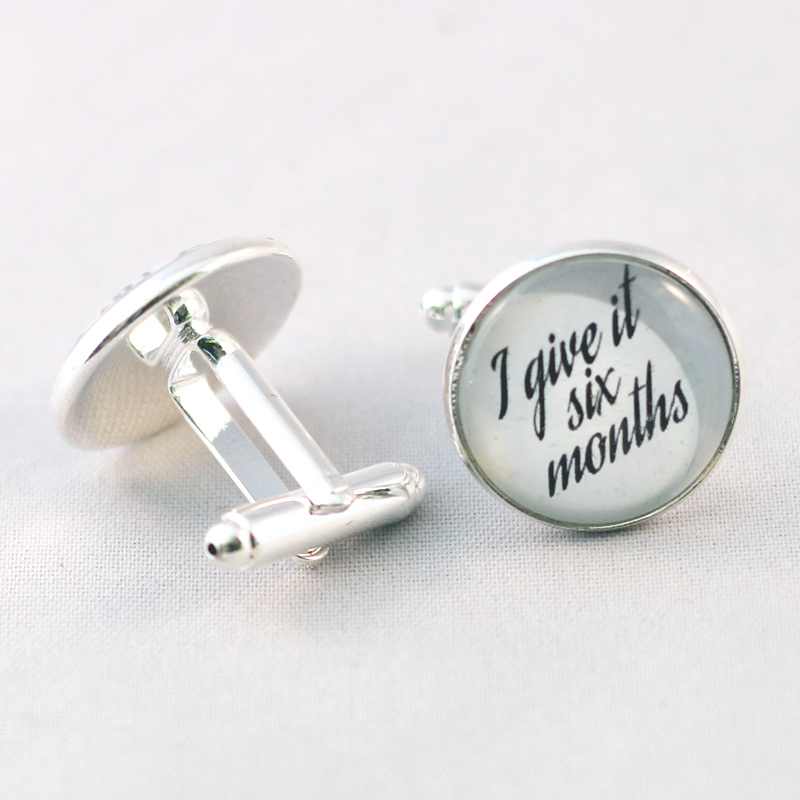 These silver coloured unique wedding cufflinks have the phrase ‘I give it six months’ under an 18mm glass cabochon magnifying the image. They will stimulate conversation during the reception. They come in a velvet covered gift box. 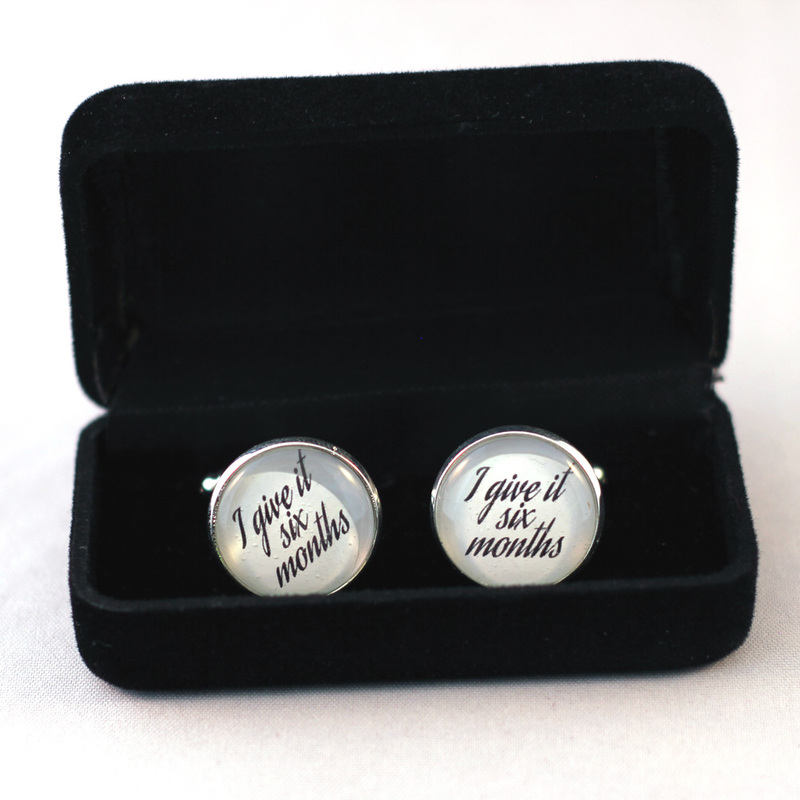 If you would like a different phrase please contact me.